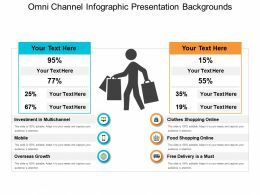 Presenting omni channel infographic presentation backgrounds. 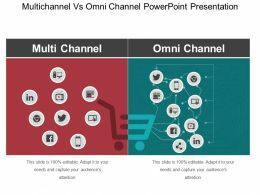 This is a omni channel infographic presentation backgrounds. This is a two stage process. 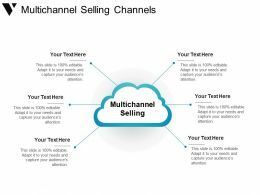 The stages in this process are omni channel,cross channel,ecommerce,multi channel. 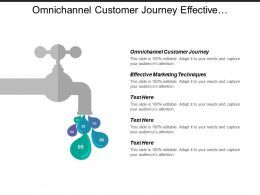 Presenting omni channel customer journey presentation outline. 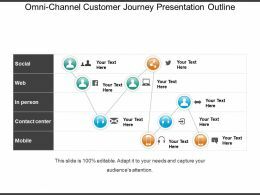 This is a omni channel customer journey presentation outline. This is a five stage process. 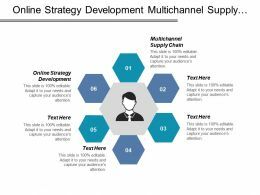 The stages in this process are omni channel,cross channel,ecommerce,multi channel. 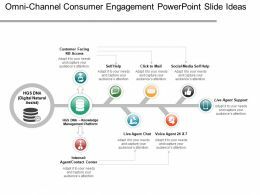 Presenting omni channel consumer engagement powerpoint slide ideas. This is a omni channel consumer engagement powerpoint slide ideas. This is a eight stage process. 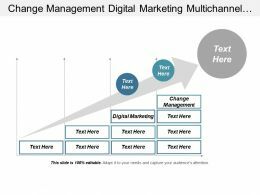 The stages in this process are omni channel,cross channel,ecommerce,multi channel. 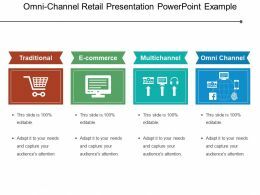 Presenting omni channel retail presentation powerpoint example. 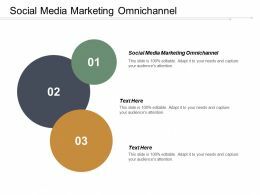 This is a omni channel retail presentation powerpoint example. This is a four stage process. 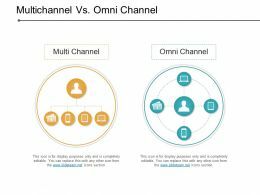 The stages in this process are omni channel,cross channel,ecommerce,multi channel. 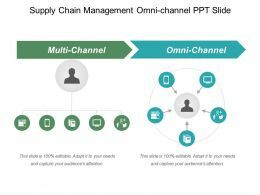 Presenting supply chain management omni channel ppt slide. 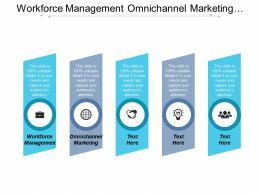 This is a supply chain management omni channel ppt slide. This is a five stage process. 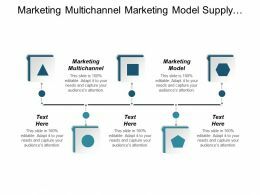 The stages in this process are omni channel,cross channel,ecommerce,multi channel. 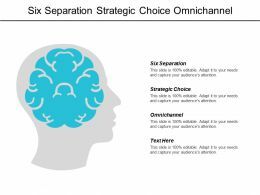 Presenting 8 steps to achieving omni channel personalization ppt slide styles. 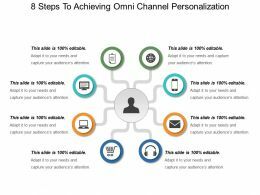 This is a 8 steps to achieving omni channel personalization ppt slide styles. This is a eight stage process. 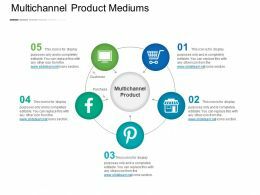 The stages in this process are omni channel,cross channel,ecommerce,multi channel. 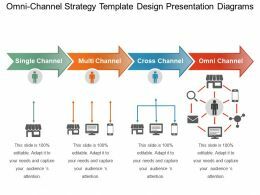 Presenting omni channel strategy template design presentation diagrams. 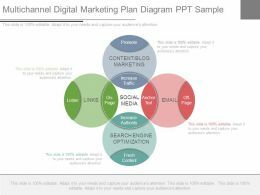 This is a omni channel strategy template design presentation diagrams. This is a four stage process. 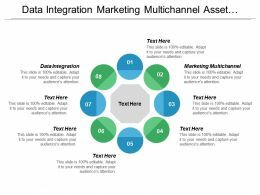 The stages in this process are omni channel,cross channel,ecommerce,multi channel. 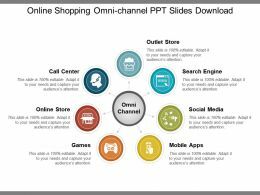 Presenting online shopping omni channel ppt slides download. 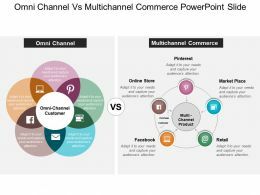 This is a online shopping omni channel ppt slides download. This is a seven stage process. 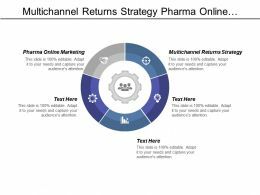 The stages in this process are omni channel,cross channel,ecommerce,multi channel. Presenting customer centre omni channel marketing example of ppt. This is a customer centre omni channel marketing example of ppt. This is a eight stage process. The stages in this process are omni channel,cross channel,ecommerce,multi channel. Presenting omni channel evaluation presentation background images. 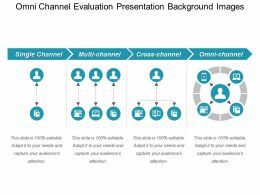 This is a omni channel evaluation presentation background images. This is a four stage process. 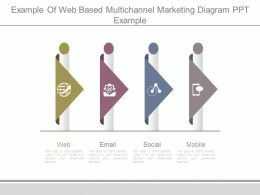 The stages in this process are omni channel,cross channel,ecommerce,multi channel. Presenting omni channel strategy sample presentation ppt. 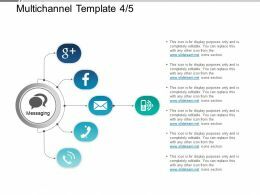 This is a omni channel strategy sample presentation ppt. This is a ten stage process. 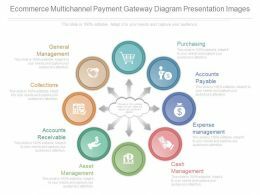 The stages in this process are omni channel,cross channel,ecommerce,multi channel. 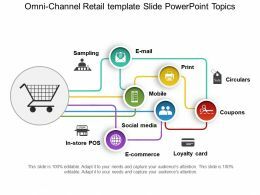 Presenting omni channel retail template slide powerpoint topics. 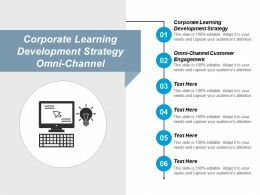 This is a omni channel retail template slide powerpoint topics. This is a six stage process. 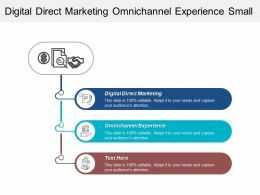 The stages in this process are omni channel,cross channel,ecommerce,multi channel. Presenting omni channel retail strategy powerpoint slide. This is a omni channel retail strategy powerpoint slide. This is a three stage process. The stages in this process are omni channel,cross channel,ecommerce,multi channel. 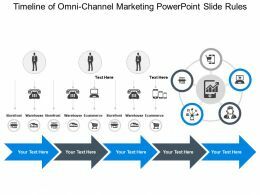 Presenting timeline of omni channel marketing powerpoint slide rules. 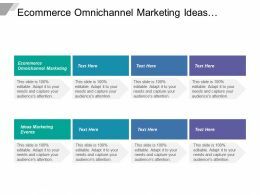 This is a timeline of omni channel marketing powerpoint slide rules. This is a five stage process. 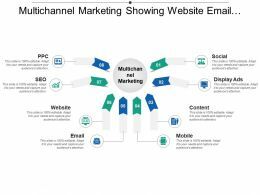 The stages in this process are omni channel,cross channel,ecommerce,multi channel. 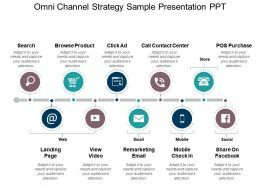 Presenting digital omni channel business advantage sample of ppt. 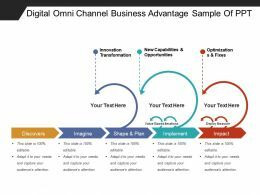 This is a digital omni channel business advantage sample of ppt. This is a three stage process. 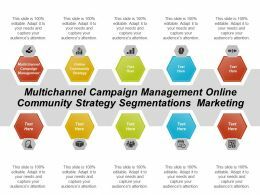 The stages in this process are omni channel,cross channel,ecommerce,multi channel. Presenting omni channel engagement model ppt design. 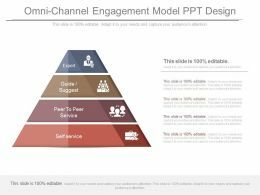 This is a omni channel engagement model ppt design. This is a four stage process. The stages in this process are expert, guide suggest, peer to peer service, self service. 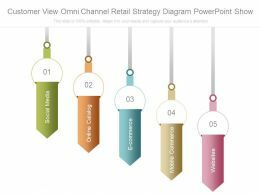 Presenting customer view omni channel retail strategy diagram powerpoint show. 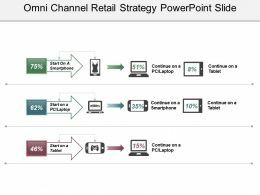 This is a customer view omni channel retail strategy diagram powerpoint show. This is a five stage process. The stages in this process are social media, online catalog, e-commerce, mobile commerce, websites. 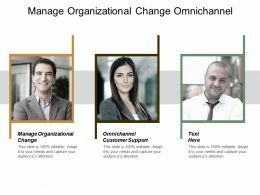 Presenting omni channel marketing channels ppt examples slides. 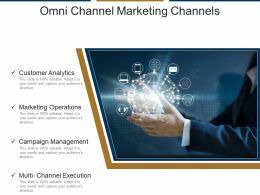 This is a omni channel marketing channels ppt examples slides. This is a four stage process. 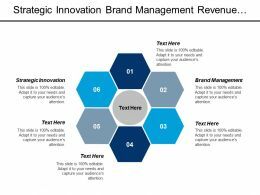 The stages in this process are customer analytics, marketing operations, campaign management, multi channel execution. 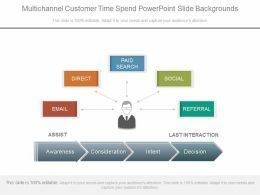 Presenting multichannel marketing means powerpoint presentation. 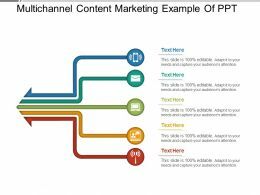 This is a multichannel marketing means powerpoint presentation. This is a nine stage process. 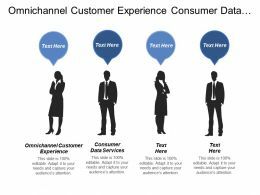 The stages in this process are multichannel, omni channel, cross channel, ecommerce. 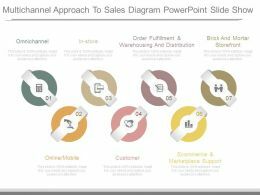 Presenting multichannel icons powerpoint layout. This is a multichannel icons powerpoint layout. This is a two stage process. 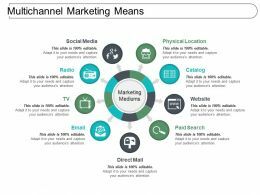 The stages in this process are multichannel, omni channel, cross channel, ecommerce. 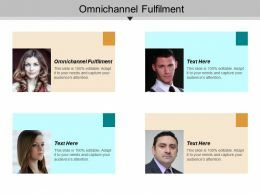 Presenting omni channel retail template 2 sample ppt files. 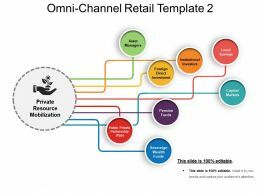 This is a omni channel retail template 2 sample ppt files. This is a eight stage process. The stages in this process are operating models, profit model, resourcing model, operations management. 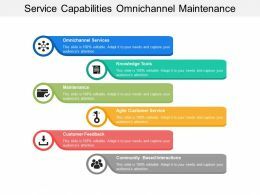 Presenting this set of slides with name - Service Capabilities Omnichannel Maintenance Feedback Community Interactions. This is a six stage process. 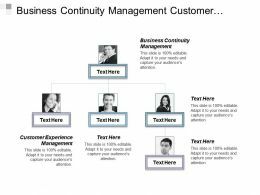 The stages in this process are Service Management, Service Capabilities, Customer Management. 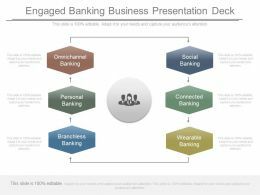 Presenting engaged banking business presentation deck. This is a engaged banking business presentation deck. This is a six stage process. 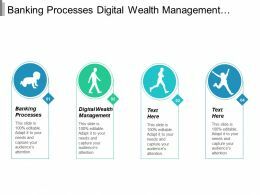 The stages in this process are social banking, connected banking, wearable banking, branchless banking, personal banking, omnichannel banking. 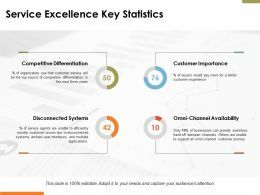 Presenting this set of slides with name - Service Excellence Key Statistics Ppt Powerpoint Presentation File Infographics. This is a four stage process. 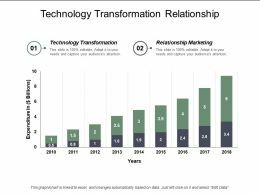 The stages in this process are Donut, Competitive Differentiation, Customer Importance, Disconnected Systems, Omni-Channel Availability. 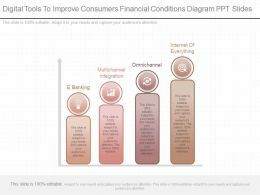 …app digital tools to improve consumers financial conditions diagram ppt slides. This is a digital tools to improve consumers financial conditions diagram ppt slides. This is a four stage process. 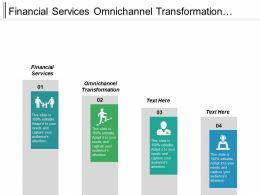 The stages in this process are internet of everything, omnichannel, multichannel integration, e banking. 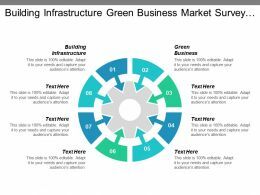 …architecture template good ppt example. 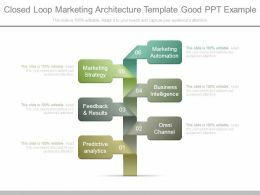 This is a closed loop marketing architecture template good ppt example. This is a six stage process. 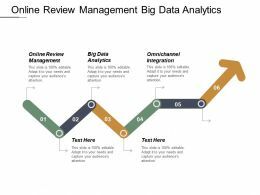 The stages in this process are predictive analytics, omnichannel, feedback and results, business intelligence, marketing strategy, marketing automation. 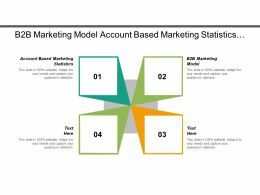 Presenting this set of slides with name - Multi-Channel Marketing With Advanced Segmentation Content Creation Lifecycle Package. This is a six stage process. 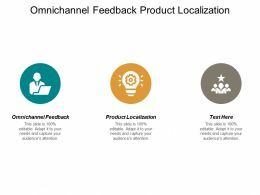 The stages in this process are Multichannel, Communication, Omni Channel. 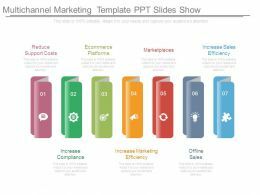 Presenting multichannel marketing template powerpoint show. 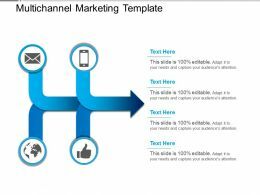 This is a multichannel marketing template powerpoint show. This is a four stage process. 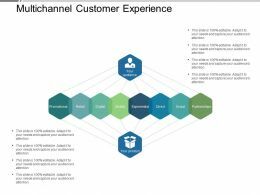 The stages in this process are multichannel, omni channel, cross channel, ecommerce. Presenting multichannel content marketing example of ppt. This is a multichannel content marketing example of ppt. This is a five stage process. 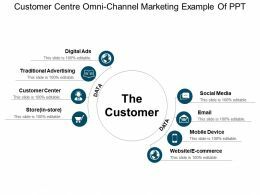 The stages in this process are multichannel, omni channel, cross channel, ecommerce. 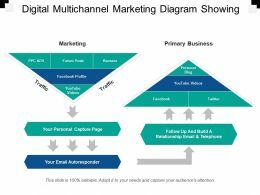 Presenting this set of slides with name - Digital Multichannel Marketing Diagram Showing Primary Business Personal Blog. This is a five stage process. 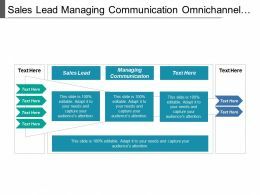 The stages in this process are Multichannel, Communication, Omni Channel. 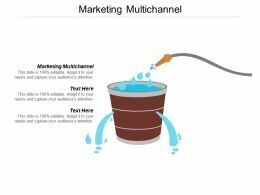 Presenting this set of slides with name - Multichannel Marketing Showing Website Email Content Social Display Ads. This is a eight stage process. The stages in this process are Multichannel, Communication, Omni Channel. 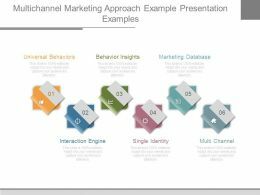 Presenting multichannel selling channels powerpoint slide rules. 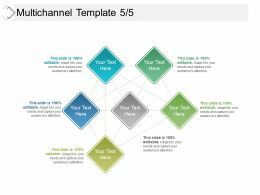 This is a multichannel selling channels powerpoint slide rules. This is a one stage process. The stages in this process are multichannel, omni channel, cross channel, ecommerce. 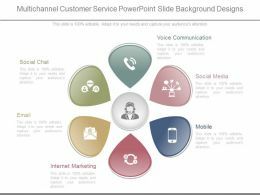 Presenting multichannel customer service powerpoint slide background designs. This is a multichannel customer service powerpoint slide background designs. This is a six stage process. 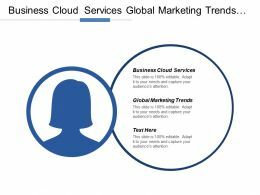 The stages in this process are voice communication, social media, mobile, internet marketing, email, social chat. 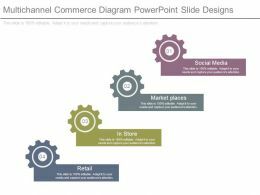 Presenting multichannel commerce diagram powerpoint slide designs. This is a multichannel commerce diagram powerpoint slide designs. This is a four stage process. The stages in this process are social media, market places, in store, retail. 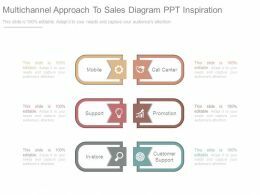 Presenting multichannel approach to sales diagram ppt inspiration. 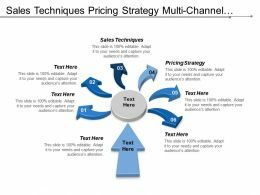 This is a multichannel approach to sales diagram ppt inspiration. This is a six stage process. The stages in this process are mobile, support, in store, call center, promotion, customer support. 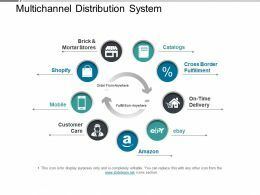 Presenting multichannel distribution system powerpoint images. This is a multichannel distribution system powerpoint images. This is a nine stage process. 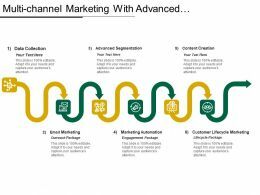 The stages in this process are multichannel, omni channel, cross channel, ecommerce. Presenting multichannel product mediums powerpoint slide. This is a multichannel product mediums powerpoint slide. This is a five stage process. 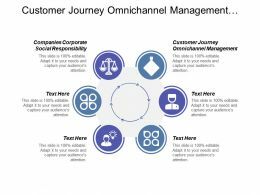 The stages in this process are multichannel, omni channel, cross channel, ecommerce. 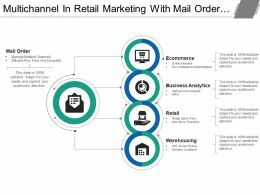 Presenting this set of slides with name - Multichannel In Retail Marketing With Mail Order Business Analytics Retail Warehousing. This is a four stage process. 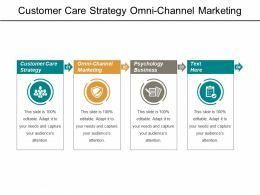 The stages in this process are Multichannel, Communication, Omni Channel. 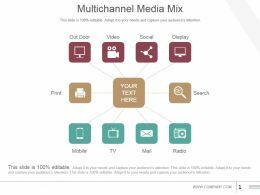 Presenting multichannel media mix powerpoint slide designs download. This is a multichannel media mix powerpoint slide designs download. This is a three stage process. The stages in this process are out door, video, social, display, print, search, mobile, tv, mail, radio, search. 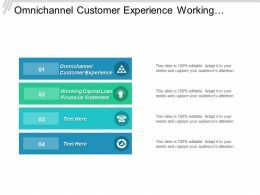 Presenting multichannel customer experience example of ppt. 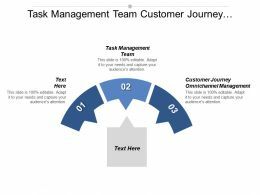 This is a multichannel customer experience example of ppt. This is a eight stage process. The stages in this process are multichannel, omni channel, cross channel, ecommerce. 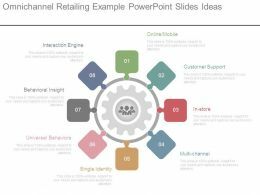 Presenting multichannel customer touch points powerpoint ideas. 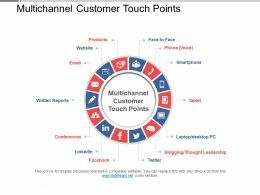 This is a multichannel customer touch points powerpoint ideas. This is a fourteen stage process. The stages in this process are multichannel, omni channel, cross channel, ecommerce. 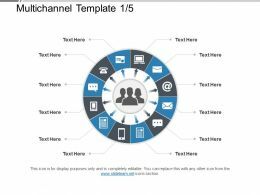 Presenting multichannel template 1 5 powerpoint slide show. 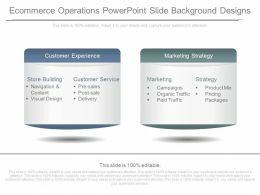 This is a multichannel template 1 5 powerpoint slide show. This is a twelve stage process. The stages in this process are multichannel, omni channel, cross channel, ecommerce. 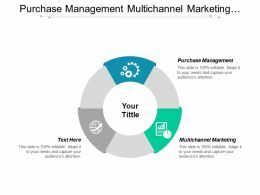 Presenting multichannel template 2 5 powerpoint slide show. 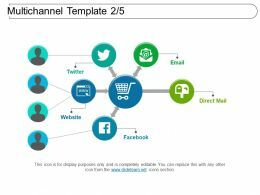 This is a multichannel template 2 5 powerpoint slide show. This is a five stage process. The stages in this process are multichannel, omni channel, cross channel, ecommerce. 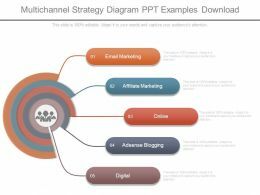 Presenting multichannel template 3 5 powerpoint slide influencers. This is a multichannel template 3 5 powerpoint slide influencers. This is a seven stage process. The stages in this process are multichannel, omni channel, cross channel, ecommerce. Presenting multichannel template 4 5 powerpoint slide information. This is a multichannel template 4 5 powerpoint slide information. This is a six stage process. The stages in this process are multichannel, omni channel, cross channel, ecommerce. 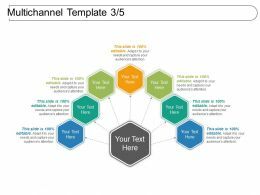 Presenting multichannel template 5 5 powerpoint slide inspiration. 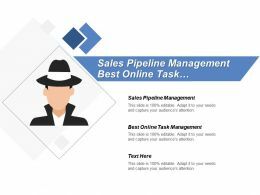 This is a multichannel template 5 5 powerpoint slide inspiration. This is a six stage process. The stages in this process are multichannel, omni channel, cross channel, ecommerce. 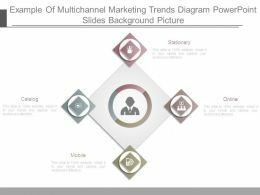 Presenting example of multichannel marketing trends diagram powerpoint slides background picture. 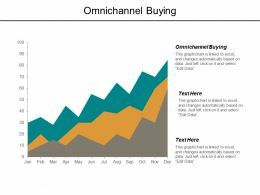 This is a example of multichannel marketing trends diagram powerpoint slides background picture. This is a four stage process. The stages in this process are stationary, online, mobile, catalog. 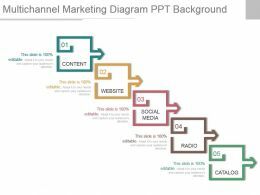 Presenting example of web based multichannel marketing diagram ppt example. 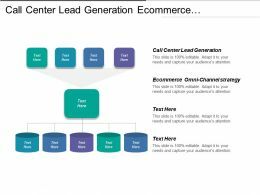 This is a example of web based multichannel marketing diagram ppt example. This is a four stage process. The stages in this process are web, email, social, mobile.